Are you under 35? Do you want to save 6 weeks and $6000 when compared to biopsy embryos and freeze all cycles (we offer these options as well!)? Do you want to do your IVF near home? Look no further than RRC. We have the best IVF success rates in Kansas City. RRC strives to achieve outstanding success rates. Our success, experience, and the care provided by our nurses, coordinators, and entire staff is what helps set us apart as an outstanding program. Some Centers self-proclaim their success rates (using deceptive statistics). RRC success rates are independently verified by the CDC. In 2016, among nearly 500 IVF centers in the U.S. RRC was ranked #3 for women under 35 for live birth per fresh embryo transfer. Click here to view our 2016 ART Success Rates. 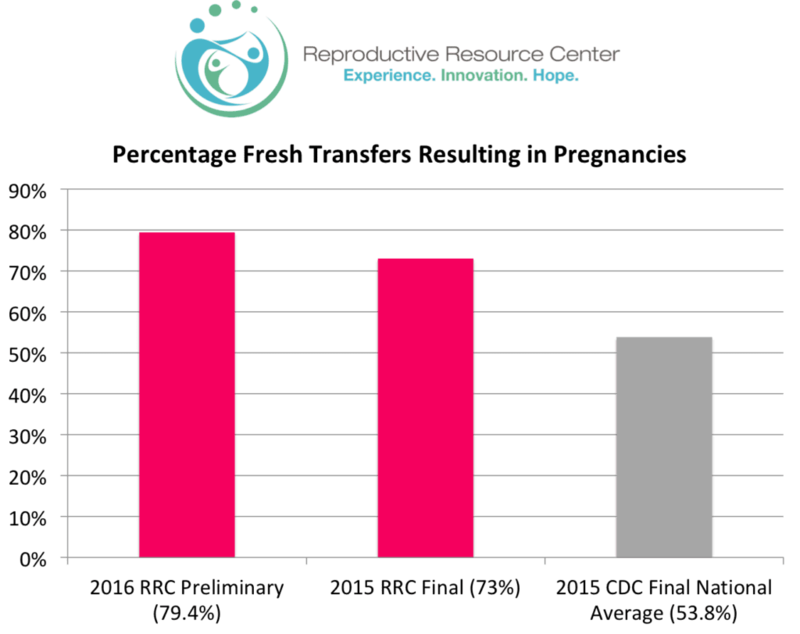 RRC is the highest rated IVF clinic in a 6-state region (Kansas, Missouri, Colorado, Oklahoma, Arkansas, and Illinois) in terms of live birth per fresh embryo transfer for women under 35. Fresh embryos are cycles with no freezing, no thawing, and no PGT (Preimplantation Genetic Testing). You may ask how we can achieve these results. Dr. Brabec and her team focus on one goal, to help you have a child. We use the latest technologies, maintain strict quality control and strive to hire and train the best staff. We have over 200 years of combined experience available to help you create your family. Our goal is always to have the highest live birth rates while minimizing the risks of multiple pregnancies.